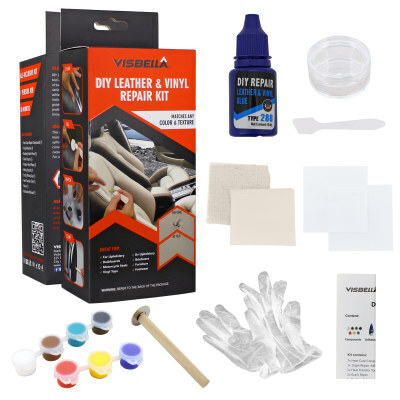 VisbellaDIY Leather &Vinyl Repair Kit is a very handy and easy-to-use kit that helps you repair any cracks, cuts, burns and tears on leather and vinyl material surfaces. 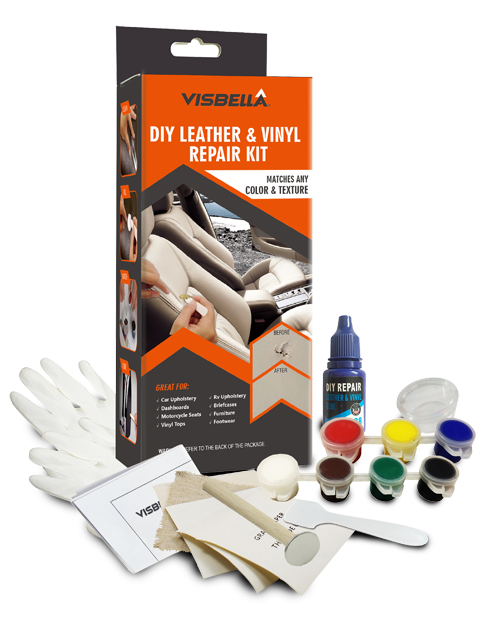 A variety of colors and grain papers designed to match surrounding materials are included to help make repairs blend in with the surrounding vinyl or leather. A color matching guide helps determine the correct color to match the damaged surface. With complete step-by-step instructions that come included in the kit, you can achieve a professional looking result without the expensive cost of hiring a professional. 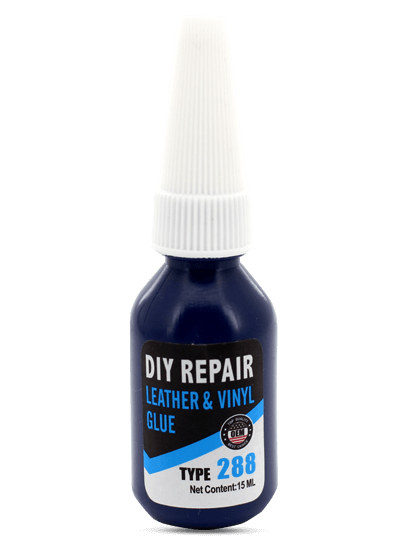 This repair kit is good for repairing any burn holes, rips, and tears on leather or vinyl material surfaces such as: Automotive upholstery & trim, furniture, leather jackets and clothing, sofas, couches, convertible tops, dashboards, boat seats, upholstery, luggage, apparel, and carpets. Will the repair be strong and able to handle normal wear and tear? Yes, the backing fabric piece included in the kit ensures a strong and permanent fix. Can the kit match any color leather or fabric? Yes, a detailed instruction guide is included in the kit that helps you mix the available paint colors to match any color of leather or fabric. What is the largest tear or cut that I can repair with this kit? The backing fabric piece is 3 inches by 3 inches and will accommodate any tear or cut up to that size. Do I necessarily have to use a clothing iron as my heat source? No, most typical heat sources will suffice such as a hair dryer. What if none of the grain papers match the texture of my leather or fabric? Choose the grain that is the closest match. Once the paint as been applied, the difference between the textures will not be noticeable to the naked eye. Thank you for your interest of becoming a distributor of Visbella products. Please fill out the form below and one of our representatives will contact you to discuss the potential business opportunities. Where do you plan to sell Visbella? Number of units do you plan to purchase for initial order? One of our representatives will contact you to discuss the potential business opportunities.